SOCCER: Clinton assistant coach Dan Horton said sharing is caring when it comes to scoring goals and that is what has been most notable of late. The team is on a four-game winning streak in which it has scored 18 goals while conceding just one goal against Frenchville in a catch-up match last weekend. But Clinton faces a new up-and-comer in Bluebirds, who sit third on the ladder with six wins, three losses and two draws. 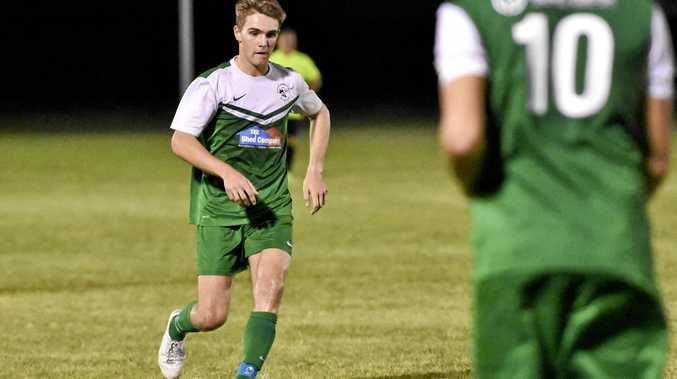 The Rockhampton-based team most recent loss was against Cap Coast way back on April 22 and are gunning for its fourth-straight win. "We are anticipating a really tough game and Webber Park is a difficult place to go to,” Horton said of the 7pm blockbuster today in Rockhampton. Clinton were at home to Bluebirds in round one which resulted in a 4-1 win to the Gladstone team. If ever there is a danger game, well this is it and Horton knows it. "We haven't played them since round one so we don't really know what formation or style of football they have been playing,” he said. Team stability has been the reason why Clinton have upped its ante in terms of goal-scoring power with Michael Varnes adding five goals in his previous two matches that included a hat-trick against Frenchville last weekend. "One thing we are pleased with is we are starting to get reward from our dominate team performances by scoring more goals from all over the park with multiple players getting on the score sheet regularly,” he said.